Many engineers working for studios whose main client base is non-label or indie (in the original sense) have little or no time to think about how to make great sounding records, they are too busy seeking out the next client. Such studios and tracking engineers casually throw around terms like: Mastering, Compression, EQ & Mix with only the simplest possible understanding of those terms. The end result of all this noise is that a lot of mediocre and terrible sounding records get made. Even when the performances captured on record were great and the equipment used was of the highest quality, the final product is such that your ear gets tired of listening to those tunes, the sound is too loud or too muffled and your music rarely gets the kind of replay that your favorite records get. Booking your session through an experienced engineer/producer will keep your project out of the hands of a studio's most recently promoted intern (sold to you as "savings"). If you or your group have run into these problems and would like to avoid some of the various pitfalls of the record making process, call Orion at 917-748-3269 for the next available booking. 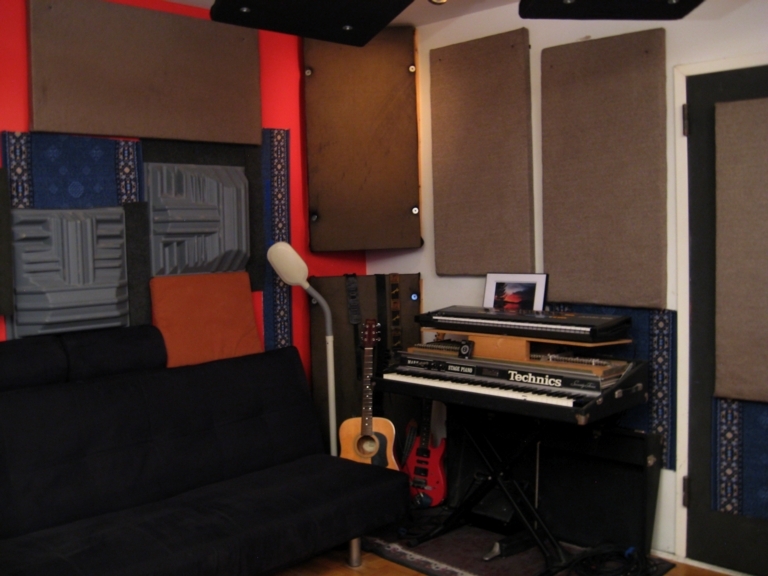 $50/hr basic rate; ensemble room recording studios available, rates may vary by project size. Listen to the demo reel!